Good strong balance is something that we take for granted throughout most of our lives without even noticing. When we are young, balance is a careless effort that we don’t even have to think about. Unfortunately, as we get older our ability to do so doesn’t seem to be as spot on. We take part in fewer activities and our muscles are a little weaker than they were 20 years ago. This doesn’t mean you are falling behind on staying healthy and active, it just comes with age. However, you can improve your balance and strength by taking classes and doing various activities. As a result of weakening balance, your chances of falling rise dramatically. Falling at a young age usually means getting up and shaking it off. This sometimes isn’t the case as you get older. Broken bones and long-term aches and pains can be the result of even the slightest impact. This being said, balance is what will keep you on your feet to avoid any falling injuries. 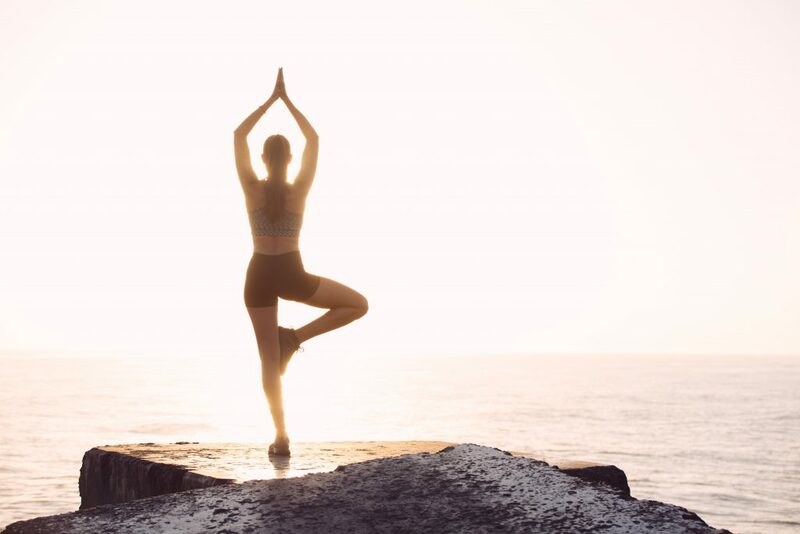 If you engage in yoga classes or do any sort of balance exercises at home, your muscles will become stronger giving you the endurance you need to stand longer without a problem. Stronger muscles may also improve your reaction time before falling or even act as a cushion for your bones and joints. You may also see improvements in your coordination, which can help you maneuver a fall to either roll or land more softly. Standing on one foot. Holding onto the back of a chair or any sturdy object, lift one foot off the ground and hold for 10-15 seconds. Repeat up to 10 times alternating legs. Walking heel to toe. Start this by placing one foot directly in front of the other; your heel should be touching or almost touching your toe on the other foot. Start walking repeating the heel to toe motion. Take 15-20 steps and repeat 5 times. Side leg raises. Holding onto the back of a chair or sturdy object, face your toes forward and slowly raise one leg to the side. Hold that leg for 10-15 seconds and bring it back down. Alternate legs and repeat 10 times. Right here at Glen Arden! Once a week we have a balance expert come in to teach a class. This class will provide you with proper techniques, multiple exercises you can do on your own, and send you home with confidence on your balance ability. In addition to this once a week class, our full-time exercise therapist holds balance classes. This will open up more opportunities to make sure you get the balance skills you need to stay healthy and avoid potential injury.